The terms Sunni Moslem and Shia (or Shiite) Moslem are bandied about quite freely in the media. Understand their significance so you can understand the Islamic world today. A war between Islamists and all the rest of humanity is growing. It was seething for a long time, like molten lava that has not yet broken through the surface of the mountain, and has now erupted in Iraq and Syria (and to a smaller extent in Nigeria) with a blast that cannot be ignored. The waves of hate and unspeakable evil threaten to engulf societies in Western countries as well and the adherents of Islamism are not coy in their announcements of their goals. Given that human nature leads us to simplify complex issues and turn an elaborate woven texture into a simple dichotomy of black and white, it is especially important not to paint all Moslems with the same brush. The vast majority of Moslems are NOT Islamists. They are also alarmed by the crimes that are committed supposedly in the name of Allah. Islam is not a monolithic religion. 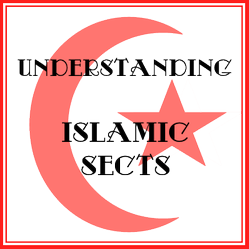 Since much animosity among Moslems, themselves, is based upon their sectoral membership, it is important that we understand the similarities and differences among the various sects. This will help us reject the urge within ourselves to curse an entire religion because of the actions and goals of a small section of them. It is arguable whether or not the Sufi are a sect. They are the Islamic mystics and may be in a class all their own. On the other hand, the Sunni and the Shi'a went their separate ways as soon as the question of a successor for Mohammed arose. He, unfortunately, did not specifically name a successor, leaving room for conflict among those who supported different candidates. After their split on this topic, some other differences arose, maintaining their separation and mutual enmity. Within these two major branches of the Islamic tree, other smaller branches split off, each with their own rationale for having done so. I think that people having grown up in other religious traditions (Christianity and Judaism for sure, but perhaps even other religions) are familiar with the emergence of denominations within the major religious group. The table below shows the major sects of Islam and these will be described in a bit more detail below the table. In 610 CE, at the age of 40, the Angel Gabriel revealed to Mohammed the beginning chapters of the Quran and the fact that he, Mohammed, was a prophet. At this time, the Arabs were idol-worshiping tribal peoples. In Mecca, his home town, Mohammed faced persecution for his new beliefs and he had to leave; in a town that was later named Medina, he was able to convert people to Islam. There he established the foundations of an Islamic state based on the Quran as dictated to him by God and spiritual guidance that he received from God. Following this, he returned to Mecca and was then welcomed. The people took up the new monotheistic belief and discarded their idols. Mohammed succeeded in converting and uniting the tribes of Arabia. It was only after his death in 633 CE that Islam began to spread beyond the Arabian peninsula. The first successor, or Caliph, was Mohammed's father-in-law Abu-Bakr. On his death-bed, Abu-Bakr named his son, Umar, as the next Caliph. Umar was killed and did not have a chance to name a successor, and as a result an election committee had the responsibility of selecting the next Caliph. Members of the committee were split between supporting Uthman (a long-time companion of Mohammed) and Ali (Mohammed's cousin and son-in-law and the very first convert to Islam) and chose Uthman. Ultimately, Uthman did not get to die a natural death - he was killed by rebels who favored Ali. After the death of Uthman there was a civil war between those who believed Uthman was unlawfully assassinated and were opposed to Ali and those who believed Uthman had departed from Islamic ways and had to be replaced by Ali, a deeply religious man. The former became the Sunni branch of Islam and the latter the Shi'a, or Shiite, branch. Intense hatred between the two continue to this day. The word, sunni, means: one who follows in the ways of the prophet. The word, shi'a, comes from shi'at Ali - or, the party of Ali. Approximately 85% of the world's population of Moslems are Sunni (marked on the map below in light green), with most of the Shi'a (dark green) being concentrated in Iran and parts of Iraq and Yemen. There are Shi'a Moslems in the other Moslem countries, however they comprise very small minorities. Both accept that the Quran is the word of Allah as revealed to the Prophet Mohammed by the Angel Gabriel and that Sharia Law is based upon the Quran and Hadith (see Understanding Terminology Related to Islam). They both accept the Five Pillars of Islam, as shown on the diagram to the left. These are: Declaration of Faith in Allah, the One God; Obligatory Prayer 5 Times Daily; Compulsory Giving, or the requirement to share your wealth with deserving needy people without asking for anything in return; Fasting in the Month of Ramadan; and Pilgrimage to Mecca at least once during one's lifetime. They also both abide by the Six Articles of Faith, as clearly illustrated on the table below (my own design). One major difference between these two major groups is that the Sunni believe in the humanity of their leaders and the need for the community to select their leaders and remove them from office if necessary versus the Shi'a belief in the infallability of their leaders and a strong and rigid divinely ordained hierarchy. This leads to an orientation to leaders as guides among the Sunni and as interpreters of Allah's will among the Shi'a. While both Sunni and Shi'a accept the Hadith as an important part of Sharia, there are some commentators that the Shi'a do not accept because they were opposed to the succession of the Caliphate through Ali. Therefore, there are some portions of the Hadith that the Shi'a do not consider part of the Holy Books. This means, then, that differences developed in traditions related to prayer and other aspects of religious and daily life. Shi'a believes in free will and discussion of the meaning behind the revelations in the Quran; whereas the Sunni accept the Quran at face value. While the Sunni believe in free will, they also believe that Allah knows what each person will choose. Interestingly, the Shi'a may have portraits of Ali on the walls of their homes and mosques. In contrast, the Sunni regard hanging up images as idol worship and prefer to decorate their walls with verses from the Holy Books. While both Shi'a and Sunni mosques can be elaborately designed architectural structures with domes and minerets, Sunni mosques may be a more simple buildings that serve as community centers in addition to places of prayer. Both branches of Islam believe in a Messiah, called Al Mahdi. However, for the Sunni the Al Mahdi has yet to come and for the Shi'a the Al Mahdi has already appeared on Earth but is now hidden; he works through current religious leaders until it will be time to reveal himself. Sufis are a mystical sect of Islam. They have evolved over time and while a thousand years ago they would isolate themselves in order to approach Allah, today they hold regular jobs and participate in society fully. They believe that serving humanity is serving God and they must not be idle, but continuously seek ways to serve. Sufi must follow the path of the Sharia and Hadith before being able to develop to a deeper level spiritually. They seek an awakening of spiritual intuition that can only occur when there is both service to Allah by serving humanity, the ability to overcome urges of the ego (such as for recognition, or feelings of envy and pride) and practice in the more esoteric realms, such as meditation, pilgrimage to the tombs of saints, and special dance and music. There are ten steps to attainment of the highest level of relationship with Allah. While Sufism is definitely a unique spiritual/religious sect within Islam, it appears that Sunni and Shi'a divisions are essentially political divisions and the religious differences that evolved over time were an outcome of the struggles for control over dominance in the Moslem world. Current Islamism apparently has nothing to do with Sunni-Shi'a differences, according to an Iraqi friend I asked about this. One can even see that a Shi'a nation (Iran) is supporting Sunnis (and Shi'a?) in other countries around the Arab world in their terrorist activities. Become familiar with terminology related to Islam in order to better comprehend news reports and op ed articles concerning what is happening in the Middle East. Thanks, MBC. No, don't know about sects of Sufism. Complicated = interesting, no? Very good summary. Did you know that there are about 5 or 6 sects of Sufism as well? As the saying says "it's complicated." Thanks so much Emma. I appreciate your support for my efforts to find clarity and understanding in our complex world. Totally agree with you, Frank. Different paths to the same God. I half agree. There are many, but all true paths have something in common. Clearly, compassion and justice are the mark of all paths, and I think that most religions [Judaism, Christianity, Islam, Buddhism, Hinduism, Sikhism etc] are following a path to God, but are Isis following a path to God? God is not served by what they are doing. And my thanks to you, Sandy, for letting me know that. Thanks for explaining this. I found it very useful. Happy you are here with me, Treathyl. Thanks Sheri. If we were not fully convinced by our own convictions, how could we possibly go to the right or to the left and have any discussion at all? Nobody appreciate a flake who waivers all the time and can't take a stand on serious matters that are affecting everybody!! Follow me? Thanks for approving my comments for public viewing. Thank you for allowing me to be a small part of your life. I value your contribution, cmoneyspinner. Let me add my personal view regarding what you wrote: not only do each of these faiths (and other monotheisms) claim to believe in One God, I believe they DO believe in One God and that it is the same God. People cause confusion because, in my opinion, they are not willing to accept that there may be many different paths to that same One God and they feel that everyone must accept their path as if it is the only One True Path. If we can respect each other's paths to the One God and be curious about them, I think that would bring peace. It can be a yes-and situation rather than the current no-but, if my gist is clear. And I also accept the fact that you might not agree with me about this, and that is okay too. Thanks for adding your comment to this discussion. There is a movement to boycott Israel, but it really isn't doing a very good job at punishing us. Read an insider's view of how to boycott Israel. A look at the complex issues surrounding the modern State of Israel and the labour pains of the still-developing Palestinian state.